Well would you believe it? Today is SunnyNeo's 5th Birthday! Half a decade ago, the SunnyNeo that we know and love today was officially launched to the Neopian public. You can find out how SunnyNeo came to be on our history page. Ever since we have been providing visitors with helpful guides and goodies. And the goodies don't end there either, we have lots in store for you to look at today alone, so let the celebrations begin! For all of you Altador Cup fans we have a special off-season report waiting for you to read! If you want to find out the Altador Cup celebrities' favourite venues for a party in Neopia, this is the article for you! For Customisation enthusiasts we have something special as well! If you'd like to dress up for party, why not do it now? To give you some ideas we've dedicated a page with party customisation suggestions for all kinds of different celebrations! In other news, SunnyNeo's Graphics Department was super excited to discover that a batch of Birthday Themed Graphics needed creating in order to get the party going. The team set off with their favourite crafting tools in hand and began creating a bunch of Birthday Themed Goodies for you to indulge in. Enjoy! No party is complete without balloons floating all around the place, brightening up the mood of guests. To help those party planners out there, we have made a new Party Themed shop + gallery layouts to help prepare for any upcoming parties! know which ones to choose! Or why not jazz up one of your layouts with our Birthday Themed Background, Fake Avatars, Shields and Art Adoptables? We all love to hear your compliments, it's like the icing on the cake of a hard day's work :D. The Testimonials page is dedicated to some of the kind words we receive about SunnyNeo. After five years, that's a lot of friendly feedback. You may even want to join the SunnyNeo staff! Blow out the birthday candle, make a wish, and check out our Apply for Staff page for any open vacancies. 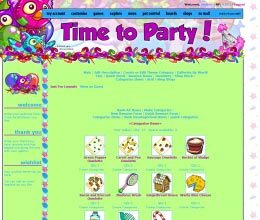 A big thanks goes to itself for being entertaining all of this time (not to mention inspiring many to learn HTML and CSS to make their Neopets pages look cooler!) 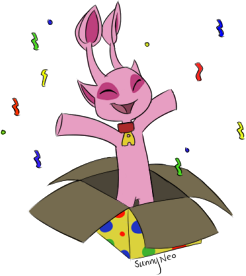 and for the users who band together to work together on Neopian plots etc. The list goes on! SunnyNeo is proud to have been (and still be) here to offer a huge array of help, art and more to the community. There will be many years of awesomeness to come from both! Three cheers for SunnyNeo! 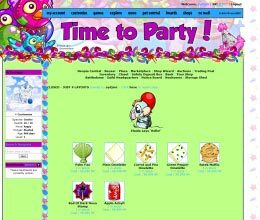 Three cheers for Neopets! Keep on rocking! Can I open it now, please?